Hi everybody, it’s Steven Mill! Today I come to you with a 2 part articles about power system failures. It is very important to understand the reasons behind these, if you were to understand the root causes that govern the reliability of a power system. This article deals with all those important reasons on which the reliability of a power system depends. Electrochemical treeing of underground power cables is one of the alarming causes for the downscaling of power system reliability. Treeing is a process in which the dielectric strength of an insulating material perishes as a result of moisture penetration while the electric field is still in operation. Once the dielectric strength of the insulating material weakens considerably, a lightning strike or even a switching can destroy the insulation. Treeing majorly occurs in less quality dielectric cables, pertaining to the manufacturing defects, and the presence of insulation impurities. Examples of such cables would be XLPE Cables and EPR Cables. 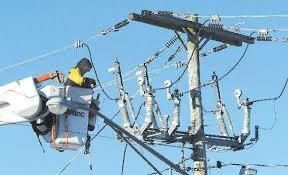 One can considerably reduce electrochemical treeing by installing surge protection devices on the electric poles, which are capable of transitioning voltage transients into the ground. Alternatively, one can also purchase cables that are treeing resistant. Note: It is recommended that the power utilities purchase cables from reliable manufacturers and also perform appropriate tests on the cables, before actually installing them beneath the ground. If you are having problems with an already existing cable, try to perform withstand test using DC voltage, that is almost three times more compared to the standard RMS voltage. Depending on the results, you can determine whether the cable needs a replacement or a refurbishment. Electrochemical treeing test can also be done by inducing a small signal at one end of the cable and then checking for the reflections at various partial discharge spots. Other methods include power factor measurement at various frequencies (dielectric spectroscopy), testing the degree of polymerization of a given cable in the lab and testing the hardness of the insulation using cable indentors. It should be noted that electrochemical treeing is not the only reason for the poor performance of underground cables. Other factors such as water ingression and poor installation can also result in insulation failure. Yet another reason for malfunctioning of underground cables is dig-ins. During constructions, excavating equipment may cut through some of the underground cables as a part of dig-ins. In order to avoid this, it is recommended that the underground cables are laid under a cover of concrete slab, using quality duct banks for external protection. Transformers are one of the most important components of a distributed power system and can pose a lot of complicacies if they breakdown. Though voltage transients and faults can impose a lot of stress on the transformers and its windings, overloading the transformer seldom leads to a breakdown. 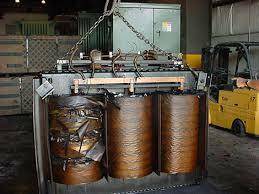 However, they can considerably weaken the thermal insulation and accelerate the ageing process of a transformer. Excessive heat in a transformer can invariably weaken the insulating material, making it brittle over a period of time, before it finally breaks it. For every 10°C rise in temperature, the proximity of a thermal breakdown, also known as “Monstinger Factor,” almost doubles resulting in rapid ageing of the transformer. Also, once the insulation gets brittle enough, and fault current flows through the windings, they literally shake and get cracked down. This in turn may lead to transformer breakdown. It should also be noted that even in liquid filled transformers, extreme hot-spot temperatures can result in transformer failure. The reason being, hot-spots are prone to generate air bubbles, which are capable of decreasing the dielectric strength of the insulating liquid in transformer leading to its failure. This is the reason why most transformers are equipped with LTC’s (Load Tap Changers). Though conventional type of LTC’s are no good in increasing the reliability of a transformer, the new vacuum type LTC’s are known to perform this function effectively, reducing the failure rate exponentially. 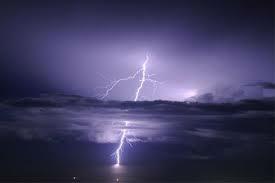 When air’s dielectric strength is exceeded by the voltage produced between the clouds and earth, lightning strikes occur. The strikes thus generated carry a mammoth 30,000 Amperes of current which can virtually destroy almost any kind of power system. In addition to this, during the lightning strikes, multiple electric discharges of varying magnitudes are induced into the power system, which can make matters even worse. This is why; the lightning strikes are of a major concern to the power utilities that operate in high altitude areas and mountains. Note: The above mentioned are only preventive measures to reduce the damage, but otherwise it is impossible to safeguard distributions systems from lightning strikes. To be continued in part two… Until then, you can tell me what you think of this 1st part in the comment section! or copy this trackback: http://engineering.electrical-equipment.org/electrical-distribution/top-10-causes-for-power-system-failures-part1.html/trackback from your own site. Mr. MIller, your article is very valuable and interesting. The topics covered in Part 1 are not theorical but practical from your experience in the field. Thanks for sharing it. Big reason of power failure in our area are over loading, short circuit and nature activities like heavy rain, storm etc.